How Do I Refrain From Using 'Dalit'? At a time when the diversity and plurality of our democracy appear to be in peril, we need to widen the scope and scale of knowledge for a student rather than narrowing it by banning the works of the likes of Kancha Ilaiah. A series of questions have been haunting me for some time now: How does one refrain from using a word which defines one’s body politic, imagined self, location? On September 3, NDTV aired its prime-time show Left, Right and Centre, titled ‘Government to Media: Refrain from Using Dalit’. My bytes were also used in this show for the background template, where I attempted to unfold the underlying semantics of words, be it ‘Dalit’, ‘Black’ or ‘Shudra’ – they connote not just an identity but also encapsulate a whole history of struggles behind them. The journalist reporting for the show succinctly made her point about ‘How [the] media will have to find clever ways around using the word’. Perhaps, in order to avoid controversy, the caption introducing me read as an assistant professor, ‘Centre for Minorities Studies’ instead of ‘Centre for Dalit and Minorities Studies’. Later, while watching the video, I realised the missing word for a moment. There always lies the benefit of the doubt that its removal could have been by chance and was not deliberate. But my suspicion arose for a simple reason that in earlier shows of the same channel, the word was present, while this time it was missing. Much later, I felt an odd sense of alienation: from the centre to which I have been professionally attached, in the university where I teach. I felt robbed of the degrees that I have earned, as they have this word beautifully calligraphed on them. I felt bereft of the academic specialisation that I have chosen to pursue. Let me clarify here that I have absolutely no grudge against the channel as it could have been following a government instruction. This was an intellectual reaction on my part as I specialise and teach on the subject. In this same episode, Kancha Ilaiah as one of the panellists explained how the word ‘Dalit’ had Pali roots and has found mention in Buddhist texts which I was not aware of till then. Though Jyotiba Phule might have started using this term in modern times and B.R. Ambedkar used it in his Marathi speeches, its usage was brought into popular parlance only by the Dalit Panthers, a political outfit started by first-generation youth belonging to Neo-Buddhists in Maharashtra who were disenchanted by the various factions of the Republican Party of India. They derived inspiration from the Black Panthers of the US and the towering personality of Ambedkar who was crucial in shaping their thinking. Dalit Panthers were most radical Ambedkarites in post-Ambedkar era who also attempted to synthesise Ambedkarism with Marxism and hence their definition of the word ‘Dalit’ testified it. The 1972 Manifesto of the Dalit Panthers defined Dalit as: ‘Members of scheduled castes and tribes, neo-Buddhists, the working people, the landless and poor peasants, women and all those who are being exploited politically, economically and in the name of religion.’ This word, therefore, represented a robust coalition and unity of the oppressed masses. Ironically, later, it came to mean members of the Scheduled Castes only, but this would obviously be a narrow reading of the term. 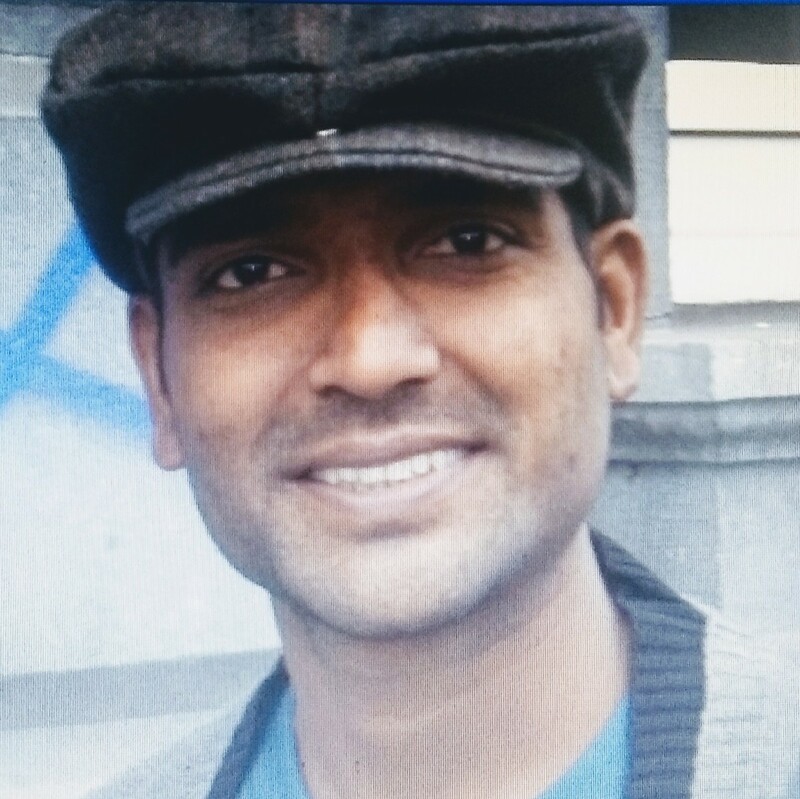 It cannot be better understood keeping in mind the tragic example of Rohith Vemula. That one’s caste identity in India is shaped by the father’s caste, and not that of the mother’s; after all, we are largely a patriarchal society. Though Vemula was declared a Backward Caste, and not a Scheduled Caste, by a committee constituted by the government after his death, he was a staunch Ambedkarite and a self-declared Dalit. My problem, however, lies on an entirely different front. 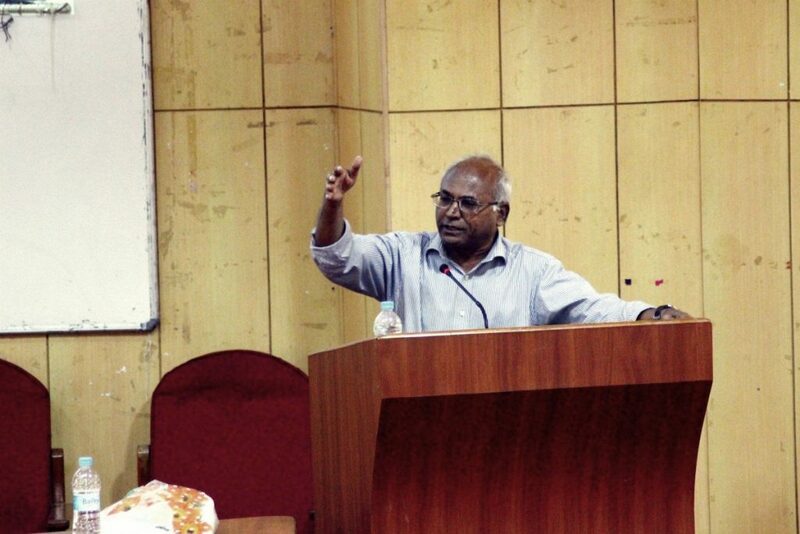 Incidentally, the government circular relating to the usage of the word Dalit was meant for media but recently, some members of the Delhi University’s standing committee for academic affairs have asked for the removal of Kancha Ilaiah’s three books used by postgraduate political science students, and also that the word Dalit be replaced by Scheduled Castes or Ambedkarites in the curriculum and syllabi. I was surprised to read this news. On the contrary, I am also amused at one of the members frankly accepting that he has not even read the books which he has recommended be removed. I am wondering since then that is there a way how a movement of the likes of Dalit Panthers will be renamed now. And can we afford to have a rigid set of readings in our syllabi at the master’s level? I, for instance, teach in an interdisciplinary research and teaching centre mandated to explore social exclusion of marginalised groups, where we prescribe unconventional reading lists. Many of the works we recommend have not been part of the syllabi of key Indian universities. Our readings include Phule’s Gulamgiri, Ambedkar’s Annihilation of Caste, Braj Ranjan Mani’s Debrahmanising History, G. Aloysius’s Nationalism Without a Nation in India, Namdeo Dhasal’s Golpitha, Arjun Dangle’s Poisoned Bread, Tulsiram’s Murdahiya, Bama’s Karukku, Daya Pawar’s Balut, Uma Chakravarti’s Gendering Caste, Gopal Guru’s Humiliation to name a few. And what about renowned scholar Gail Omvedt’s books: would they all get rejected in time, given that they carry the word Dalit in the titles, be it Dalits and Democratic Revolution in India or Dalit Visions. And it is very recent that caste- and gender-based covert violence that are omnipresent in all academic campuses have gradually started being part of academic discussion inside the classrooms and they are not a pleasant experience at all. But the big question remains for now is who introduced Illaiah’s books in Delhi University in the first place. The answer is professor N. Sukumar, who recommended them for the course on exclusion that he offered. He has already circulated a statement justifying it and has also announced that he will approach the courts on this matter. But how many of us know that professor Sukumar is the first Dalit – sorry – Scheduled Caste candidate to be appointed as a faculty member at the Department of Political Science, as early in 2001? Sukumar was educated at Hyderabad. Only history can find an answer as to why the Delhi University, or rather the universities in Delhi, could not produce a single Dalit scholar till the turn of the century worthy of being a faculty member in this department. During my student days, in typical JNU parlance and lingua franca, I grew up learning how Ilaiah’s writings were loaded with polemics and rhetoric. In fact, my personal association with him only began after I had finished my own PhD and written a scathing critique of his Post-Hindu India in the April 21 issue of Mainstream Weekly in 2011, titled ‘Complexities of the Struggle for Post-Hindu India’, where I disagreed with his idea of beef-eating practices among upper shudra castes in northern India. …the parallel that comes immediately to mind is Frantz Fanon’s The Wretched of the Earth. “(T)his book is scandalous”. Satre wrote in his famous preface. “The tone is new. Who dares to speak thus?…And if you murmur, jokingly embarrassed. He has it in for us the true nature of the scandal escapes you; for Fanon has nothing in for you at all…he speaks of you often, never to you…he bends…language to new requirements…and speaks to the colonized.” If the true nature of the scandal is not its denunciation of the coloniser what exactly is it? The real scandal of Fanon’s text, its most offensive impropriety (and hence the dangerous much as fascination), is its transgression of the multiple proprieties that maintain and reproduce colonial power. It contravenes or ignores the structure of authority and the decorums of the address, the arrangements of the accountability, the systems and assumptions of knowledge and a myriad other regulative norms that constitute the cultural economy – one might think of it as a poetics of reality – of imperial France. Worse (in the sense of more scandalous), it readies arrangements of self and community aimed at subverting and replacing that order. Why I Am Not a Hindu has much in common with Fanon’s classic. It was this very book of Ilaiah that caught the attention of the then Subaltern Scholars collective. And Kancha Ilaiah was perhaps the only shudra who contributed his academic piece to one of the subaltern studies volumes. This was around the same time when a noted Dalit scholar Gopal Guru was questioning the egalitarianism of social sciences in India and he had rightly summed up how it represented ‘a pernicious divide between theoretical Brahmins and empirical shudras’. For a long time, writing the history of prejudice was unthinkable. But recently, Gyanendra Pandey, a professionally trained historian now teaching at Emory University and one of the founders of Subaltern Studies wrote A History of Prejudice: Race, Caste and Difference in India and the United States. Ilaiah’s book has been referred to and referenced in Pandey’s book which is published by Cambridge University Press. Classroom demography of Indian universities has drastically changed over the decades, mirroring the larger diversity that our nation represents. By the time students come up to master’s level, particularly in humanities and social sciences, they seek to find answers to myriad questions pertaining both to their own selves as well as their place in society. A large mass of Dalit-Bahujans come to the university as first generation learners with an immense baggage that their caste-ascribed occupational identities make them inferior or less meritorious in their own eyes. A majority of them initially lack linguistic skills and agency to overcome their own inferiority. Writings of scholar-activist like Kancha Ilaiah help them in dissuading such notions. Now with scholastic interventions of scholars like Gopal Guru and Sundar Sarukkai, it has been established that experiences can be detrimental to making theory. All these questions and issues require our serious attention. What needs to be done is to widen the scope and scale of knowledge for a student, rather than narrowing it. And in a time when the diversity and plurality of our democracy appear to be in peril, all I can recollect is a couplet by Rahat Indori: Sabhi Ka Khoon Hai Shamil Yahan Kee Mitti Me, Kisi Ke Baap Ka Hindustan Thodi Hai. Arvind Kumar teaches at Centre for the Study of Social Exclusion and Inclusive Policy attached with Dr K. R. Narayanan Centre for Dalit and Minorities Studies, Jamia Millia Islamia, New Delhi.